What a great season it was at the Gold Mine Resort. Fishing was very good most of the year. I’m hoping to have everyone come back in 2019, so I’m offering all new & returning customers a special rate of $75 per night for cabin, boat, motor & tax included. This offer is good until April 1, 2019. Book by then! Have a great one. Hope to hear from you & see you in the summer. 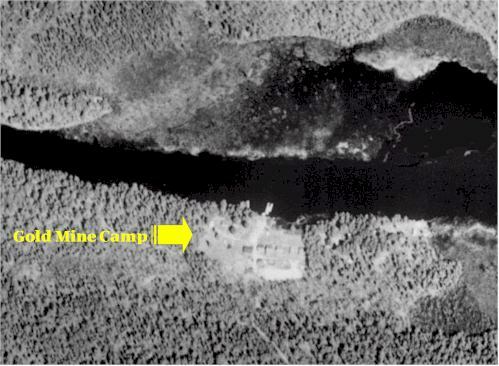 Gold Mine Camp is located on the 49-mile-long Vermilion River, nestled between two portage “waterfalls,” in the wilderness between Lake Vermilion and Crane Lake. The Vermilion River flows north of the Trout Lake Boundary Waters Canoe Area Wilderness and eventually empties into Hudson Bay in Canada. Gold Mine is the only resort on the last 17 miles of the Vermilion river. This allows anglers the opportunity to relax and fish without interruption. We have about the best Hunting and Fishing experience one could have. As you can readily judge, wilderness fishing can be a highlight experience, fishing where few fishermen reach, sharing untroubled waters with the otter, mink and eagles, and catching fish that fight you all the way to the boat. Our thanks to the many fishermen who released trophy fish. When you consider the fragility of wilderness waters, such sportsmanship is to be commended. The staff at Gold Mine will continue to recommend to our clients that trophy fish only be removed if a mounted specimen is the fisherman’s objective. Get away… to the rugged and remote beauty of northern Minnesota’s Superior National Forest and the Canadian Border Waters,. Vacation along the shores of Vermilion River, amid sparkling waters and majestic pines. Here, you’ll find it all. Cozy cabins, rustic but built for comfort. And, of course, your favorite outdoor activities – fishing, swimming, canoeing, boating, hunting, or just plain relaxing. Gold Mine Camp is Minnesota’s most remote wilderness fishing resort. Located deep in the Superior National Forest, it is designed for the serious angler. Every available resource is utilized to ensure success. Guides are available. If fishing is in your vacation plans, Gold Mine Camp is the place for you! Website designed, maintained and hosted by Tech Bytes.